Clitheroe's legendary Emporium is coming of age and celebrating its 21st birthday this month. The former Methodist Chapel on Moor Lane was the first venue developed by the James’ Places hospitality group and it trailblazed the ‘dining with retail’ concept in the Ribble Valley. 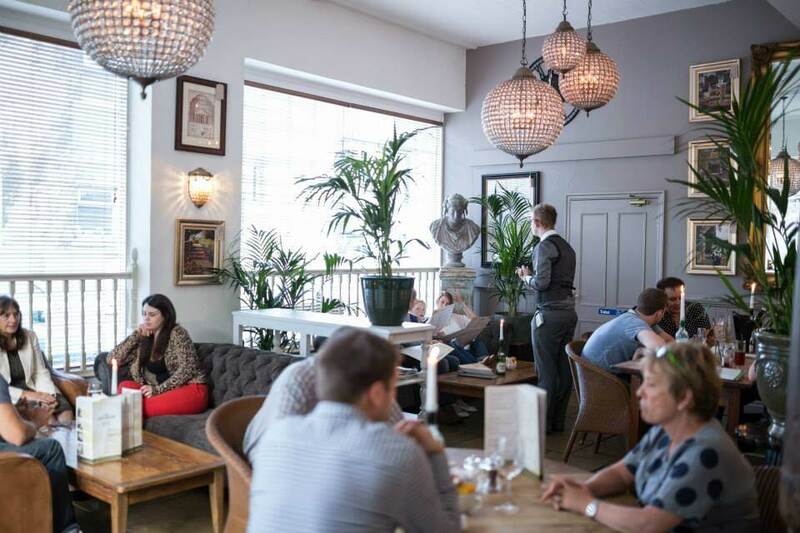 The Emporium set itself apart from other eateries when it first opened in 1996 after a transformation by James’ Places MD James Warburton, who bought a derelict chapel with the vision of turning it into a brasserie and interiors shop. Today, The Emporium is still the interior design heart of the group. A glance around the shop reveals clocks which you can see in The Royal Hotel at Kirkby Lonsdale, wall hangings like those in Holmes Mill, sculptures reminiscent of those found in Falcon Manor at Settle, throws from the Shireburn Arms, wallpaper as seen in the 1823 Spinning Block and numerous finishing touches shared with Mitton Hall, Eaves Hall and the Waddington Arms. Since 1996 the Emporium has seen demand for its great food continue to grow. The menu constantly reflects the lifestyles of its customers as is seen by the recent addition of special menus for vegans and the gluten intolerant. 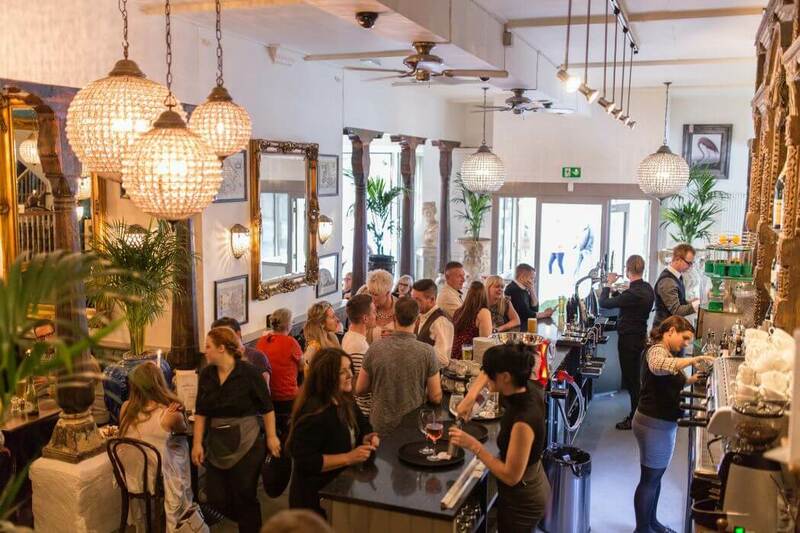 The vibe changes throughout the day with an early crowd for breakfast or brunch, mums for coffee, friends for lunch, business people having a meeting and there is always a great buzz in the evening. The original principle of dining with retail has never left, and everything on display can be bought. As James likes to say, ‘everything is for sale except the staff’ and yes, they have had customers who have bought the table at which they were dining! They're just as big, they're just as good, they're just that much cheaper! This is a fantastic offer, we advise you give us a call on 01200 444174 to book a table. It does get busy! We are currently running the Beat the Clock Pizza offer between 4.30pm and 6.30pm every Sunday! 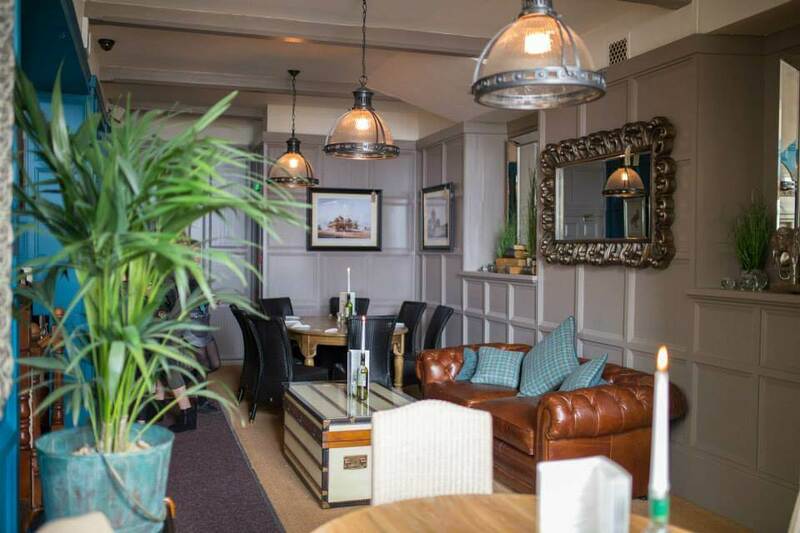 2 course lunch £17.50/ dinner £22.50. Monday - Friday 12pm - 2.30pm/ 6pm - 9.30pm. 2 courses £19.95/ 3 courses £24.95. It's simple. Choose your location, choose your time, choose your dish. Enjoy! Beat the Clock is running at three of the James Places locations, Waddington Arms, The Royal Hotel and Shireburn Arms. *6 dishes available, these will change weekly by location. For the sake of the till system, the time has been split into 15-minute segments. You will be charged at the nearest interval i.e 6 o clock, £6.00 6.15pm and so on.